This time next week I’ll be doing something out of the ordinary. I will wake up very early in the morning and put on my comfy clothes. I will probably skip breakfast at home and will have it later, on my way to the destination. This time next week, I hope the traffic will be in my favor. This time next week, I will be traveling….. to India!!!! Woohoow! The trip is actually rather unplanned for this year. You probably have known that I will be going to the US in April – so what’s up with this India trip, all of a sudden? Hint: a wedding. Sometime around December last year, my former classmate back in Bournemouth sent me and a couple of other friends an invitation to attend his wedding in his hometown, Mumbai – Maharashtra. The wedding will be held early March (a.k.a next week!). You see, after graduation, I received similar invitations from my former classmates, but I haven’t been able to attend any because they were all held in Europe – it was hard for me to come. Since this one will be held in India, and India is still in Asia, and the groom-to-be was my first ever friend in class… I felt like I really really really need to go. Of course, I had thought about it carefully. I calculated my leave days at the office – I still have some left. I checked the ticket price – Hmmm, so – so, but still within my budget. I checked the visa requirements – turns out that Indonesians are qualified for tourist visa on arrival scheme and Mumbai is one of the ports of entry that has the facility. Yay! Then I read Zilko’s posts about his India trip. He did not go to Mumbai though, but his experience was interesting! Of course I also thought how wonderful it will be to meet again with my old friends, and the thought about attending an Indian wedding really excites me. I will fly from Jakarta to Singapore and then Singapore to Mumbai directly. 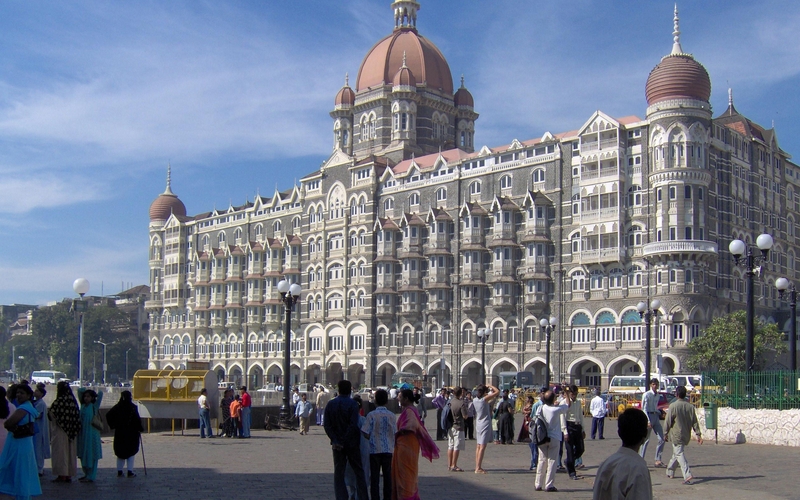 To be honest I haven’t prepared any itinerary except going to the wedding functions – in fact I think I will only have 1 spare day during my 7 days trip there, in which I think I will spend in Mumbai only. It will be great to be able to visit Taj Mahal.. but let’s just focus on the wedding this time and who knows maybe I’ll come back to see the rest of India. ahhh.. ceritaa yg banyak yg nanti! hehe.. lu di kasih atau bakal pake sari ga chris? hehe..
wahh.. iya.. seru abis pasti.. di tunggu cerita2 dan votonyaa.. hehe.. pasti seru deh hadirin pesta di india.. cobain culture baru. hehe..
Aihhhh…😃bakalan seru neh.. Ditunggu liputan lengkap kondangan India-nya ya.. Jangan lupa foto-foto..
We did not visit Mumbai though. But from what I know, I heard the Gate of India was the landmark of the city and hence, probably, it is a must to pay a short visit there 😛 . Enjoy India. Sepertinya menarik. *menunggu cerita tentang pernikahan dengan adat India di sini* bolehkan? Okeee… Thankyouuu! Hihi nanti kita ktemuan yaaa.. cup cup!